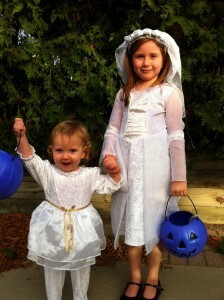 Granddaughter Bella, Under 2 Years: Praying the “Hail Mary” TOOOO Cute! Baby Rosary Click on the link to the right to listen. Bella is seen below with her older sister Maria Faustina Ray. Missing from the picture is older brothers Joshua Thomas and Samuel Tarcisius (and the new baby still in the womb). Next post: Eat the Rich: Pay off the Deficit!